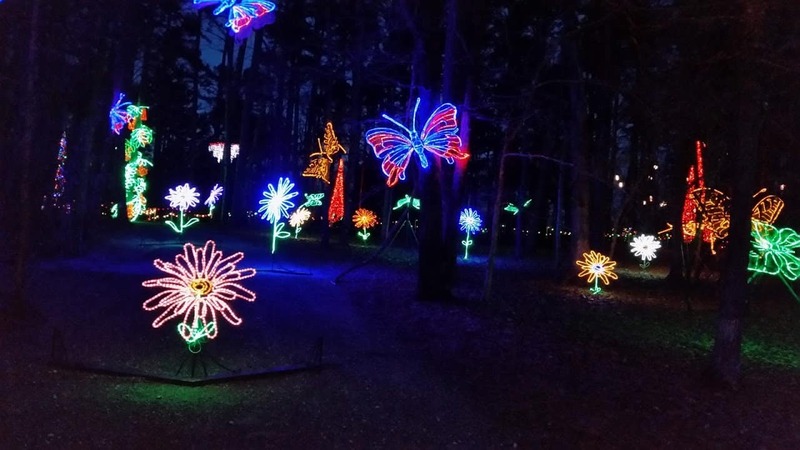 There is still time to catch the 2017 version of Holiday Lights at Garvan Woodland Gardens! 18 acres of the Gardens come alive each night with animation, topiaries, music, and family fun. New to Holiday Lights this year are Sasquatch, “Ice Dandelions” blowing in the wind, Rodrick the Sea Serpent, and a family of mushrooms. “James the Train,” a fully animated life-sized train engine is a traditional favorite. The Garden of the Pine Wind is once again adorned in ethereal blue and white lights; the 50-foot tall Rose Tree comes alive with a 12-minute music and lights show; and watch as elves fill Santa’s sleigh with gifts! There is even a free hot chocolate tent to warm you up on chilly nights! You can visit Garvan Gardens every night through New Year’s Eve (closed Christmas day). Gates open at 3pm, and the lights are turned on at 5pm. If you’re visiting on a weekend, we recommend arriving at 3! You’ll have a chance to stroll through some of the gardens in the daylight, AND you’ll avoid the incredibly long lines for parking and admission after dark. Admission fees are $15 per adult. For those unable to walk long distances, golf cart rides are available for an additional $15. Take a break after Christmas and treat yourselves to our “Unplug and Unwind” package. It includes 2 nights in the room of your choice, 2 tickets to Garvan Woodland Gardens, a spa basket of locally made bath products, and breakfast at Tiffany’s each morning!